Does your business consult and negotiate with employees and their elected representatives in the context of collective bargaining? 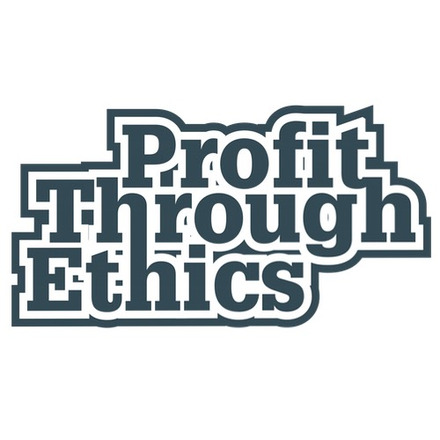 Profit Through Ethics Ltd ('PTE') is the business which conceived, developed and launched the Responsible 100 initiative with founding businesses and NGO supporters. Its primary focus is the further development of R100. In addition to the development and publication of new and updated questions for businesses to answer, our work currently also includes the further development of a sophisticated new web tool and the creation of a suitable new brand and identity. Our "sector" is difficult to describe as we are not a normal kind of business. Consulting and publishing both have some relevance. Currently, the work is carried out by 8 of the 9 people listed here, Clare has been off due to ill health for over a year but we hope to have her back with us soon. PTE cannot answer YES to this question because we operate on a shoe string budget, are seeking to create a new industry as well as a new business, and believe it a first priority to establish well paid, rewarding, permanent jobs. PTE is arguably London's oldest start up. We work with some of the world's biggest businesses and best know brands to harness transparency as the ultimate proof of responsible and ethical best practice. With pre-eminent NGOs, campaign groups, unions and other experts, we create questions with which to challenge businesses on a range of important social, environmental and ethical issues. Using a tool and process developed over several years, we score the resulting answers businesses provide as POOR, OKAY, GOOD or EXCELLENT and then publish them for public scrutiny, comment and rating on an open web platform. Success to date has been achieved against the odds. Our existence has been hand-to-mouth for the great majority of time we have been incorporated. Over the last few years, with the ongoing support of a quorum founding businesses, investment in the R100 platform and brand has been possible. This stated, the timetable for releasing the various improvements we have been working on has been subject to various frustrating delays, beyond our control. The current situation is that we are confident that the improvements to R100 we have been working on will have a tremendously positive impact on our ability to establish an adequate base of founding businesses and then scale the initiative quickly thereafter. With this in mind, Michael (permanent, full time), Robert (permanent, four days per week) and Malcolm (permanent, one day per week) decided to increase the size of the team. Over previous years, we have run a successful internship programme with the support of the London School of Economics Careers Service. We decided to go back to them and revive and relaunch R100 internships, which had been largely dormant since Clare's forced departure last year. Previously, many of the 200 or so interns that have joined us since 2005 for 15 day internships stayed on to take more permanent jobs. Given we know that this is a great way to get to know employees and see if and how they fit into the team, and given we are not sure how soon we will have to serve a larger number of clients and partner organisations, we decided to take on five excellent new interns. Each of the new interns has LSE in common, but the experience and backgrounds vary enormously. Some have graduated, some are still at LSE. Some did undergraduate degrees elsewhere and masters at LSE. Some did their undergrad degrees at LSE and are undertaking masters degree elsewhere. Like Robert, all interns are paid the London Living Wage, at least they were until 31 October 2015. The rate apparently increased from £9.15 per hour to £9.40 per hour at that date, but confirmation of when the new rate comes into force has yet to be established. Pay and conditions are subjects which employees are at liberty to raise at any time, and they often do. PTE's team is a small and open one. Employees are encouraged to express their views on any issue and speak their mind. This relates to the development of R100 questions and scorecards and the assessment of company answers, to issues relating to the operation and governance of the organisation. R100 is working within a growing sector, driven by wider awareness of the social and environmental impact of business. It is, however, one where there is still little formal training or specific professional expertise. It is necessary to grow skills within the business and to constantly learn from others. We respect diversity in our people and acknowledge the value of their experience. We work as a team and rely on each other to sound out ideas, to build new business and to get things done. We encourage everyone to learn, to enjoy, to have ideas and to contribute. This environment works on trust and trust facilitates efficient and effective working. We want people to develop a good work-life balance because working here at R100 isn't the be-all-and-end-all. We believe a balance of other interests in a person's life feeds into the quality of work they achieve here in the office. We ask a lot of our people but recognise that everyone works best in different ways so we encourage flexible working arrangements. Employee representation is the establishment of mechanisms enabling workers and employees to be consulted and collectively bargain on their terms and conditions of employment in the context of legally recognising an independent trade union for this purpose (as per UK legislation). It is also about maintaining good workforce relations and empowering workers and employees. Whatever the size or type of organisation, people need to engage in meaningful communication with each other. They need to give and take instructions, exchange views and ideas, discuss solutions to problems and consider future developments. However, it is recognised that while there should wherever possible be harmonious relationships between management and staff, there will not always be communality of interest, thus ensuring the need for collective bargaining at the appropriate juncture. Without freedom of association and respect for trade union rights, there can be no employee representation. Different organisations will have different needs and methods for consultation with staff. Small ones generally have more informal methods, often through direct contact with employees such as a manager walking around and talking to people. Nevertheless, this should not be used as a substitute for or undermining of collective agreements. Larger businesses lend themselves to more formal structures, the nature of which would be a subject for the bargaining agenda. Staff forums may include electronic communication (e-mails, newsletters and online questionnaires etc. ), group meetings and one-on-one meetings but, as in smaller firms, none of these tools should be deployed to sabotage existing agreements arising from collective bargaining. A point to consider is that consultation is not briefing, it is dialogue and has specific connotations in workplaces where trade unions are recognised, pursuant to UK and European legislation. According to the ACAS Code of Practice, disclosure of information to trade unions for collective bargaining purposes includes pay and benefits, employee numbers, performance and financial data. An independent trade union (or labour union) may represent company employees, based on particular industrial sectors or work skills. Alternatively, or in addition, there may be internal company bodies, such as permanent workers councils, worker representatives at Board level, or temporary groups that arise to address a particular issue. Professional associations and institutions, often bodies with self-regulatory legal status, may also represent the interests of their members. However, only the trade union enjoys a legal status commensurate with its independence and as such is indispensable to any notion of employee representation. Drafting policies and defining specific practices can be a good starting point and foundation for employee communications and consultation. A policy statement can provide an effective means of setting out the values and philosophy of the organisation and would include a commitment to collective bargaining with, as far as possible, a directly-employed workforce, i.e. PAYE employees as opposed to sub-contracted or self- employed workers. 'Collective bargaining' is a process by which employers and recognised trade unions seek to reach a negotiated agreement on issues such as pay and terms and conditions of employment. Both employer and trade union take responsibility for fulfilling the bargain. Unions and collective organisation rights are principally governed by The Trade Union and Labour Relations (Consolidation) Act 1992 which was amended by the Employment Relations Act 1999 and the Employment Relations Act 2004 though there is separate legislation for Northern Ireland. Regularly consults and collectively bargains with employees and their trade union representatives.